Dia de los Muertos, the tradition rooted in the heart of Mexican culture, is a celebration honoring the souls of the dead, with a joyous celebration rich in family tradition and family remembrances. What Dia de los Muertos isn't is a Halloween celebration as many may think. To help kids understand the difference between Halloween and Dia de Muertos, download and print our free Day of the Dead learning packet with fun facts and activities kids will love. Join Maria as she explores facts about Dia de los Muertos, also known as the Day of the Dead, in this free printable 13-page learning packet. 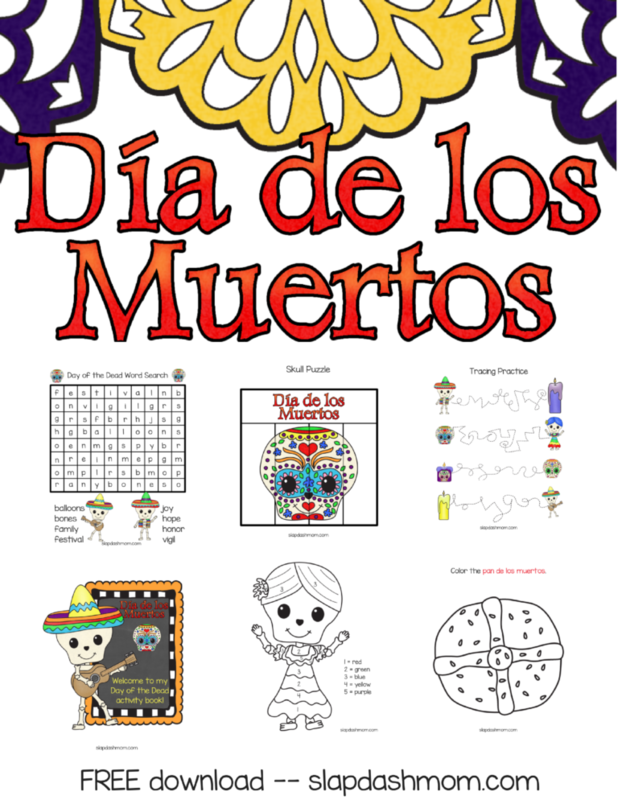 Within this activity packet, kids will enjoy learning about the Day of the Dead through fun coloring pages, puzzles, word search, math sheets, and a colorful memory game. This free printable Day of the Dead Learning Packet is designed to print on standard 8.5″ x 11″ paper for easy printing at home. Simply download the packet from the links below, print, and watch your little one begin learning about the annual tradition of Dia de los Muertos. 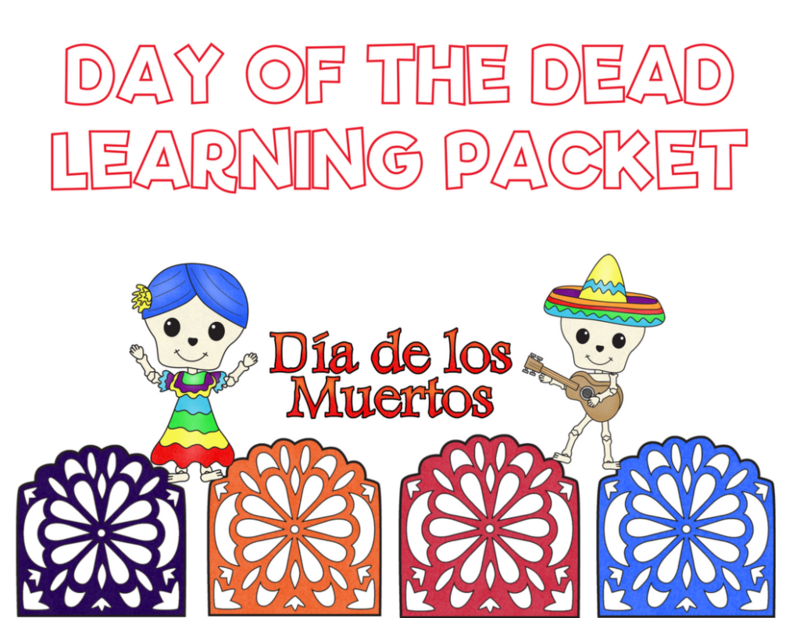 Download our free printable Day of the Dead Learning Packet by clicking on the image below. Love this Dia de los Muertos – Day of the Dead Learning Packet? Don't forget to pin the image below to share with family and friends. 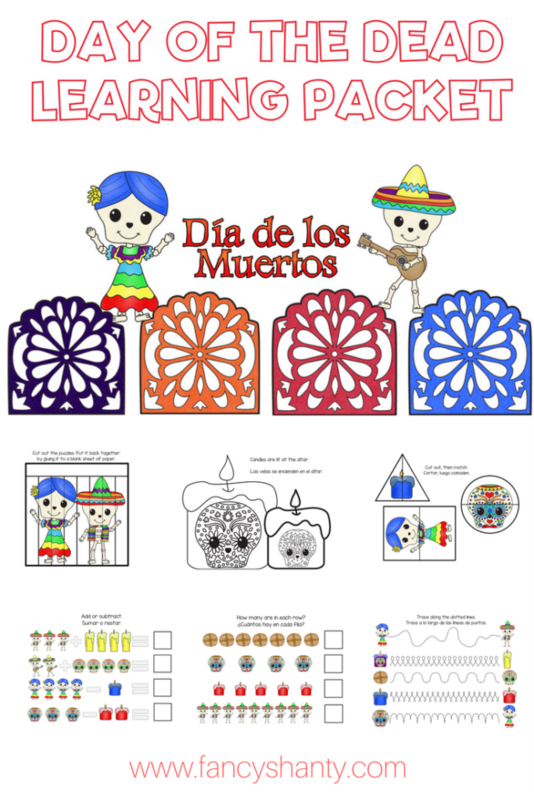 The image does not provide the dia de los Muertos free printable. Is it no longer available? The second image below the wording “Download our free printable Day of the Dead Learning Packet by clicking on the image below.” is linked to the .pdf file. Once you click that the .pdf should pop up in your browser for you to download. Hope this helps!